First Place Web Host offers specials and give aways from time to time. Offers are first come first server, limited time, as supplies last, one per client, for new clients only, and often times have other restrictions. Order a dedicated server on a one year contract and receive a free 1GB USB, MP3, FM tuner, Digital recorder. A $150.00 value free with dedicated server offer. 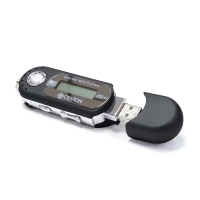 Holds over 1042 minutes of music at 128kpbs, 853 3MP images, files, and much more. New Clients only, only available when you order any regular price server (specials do not qualify for this give away - only available with dedicated 1, dedicated 2, or dedicated 3 server lease agreement), item sent free of charge including shipping and handling after the third month of paid service, other restrictions and limitations may apply, offer limited to supplies on hand at time of offer posting.